Henricson-Bell, who began in post last month, now oversees the breadth of the Treasury’s comms, as well as looking after the Chancellor’s official communications. It is the first time the Treasury has hired somebody from outside the department to assist the Chancellor in a comms function. Henricson-Bell leads a team of 30 across media, digital, events, and strategic and internal communications functions. He reports to the permanent secretary, Tom Scholar. 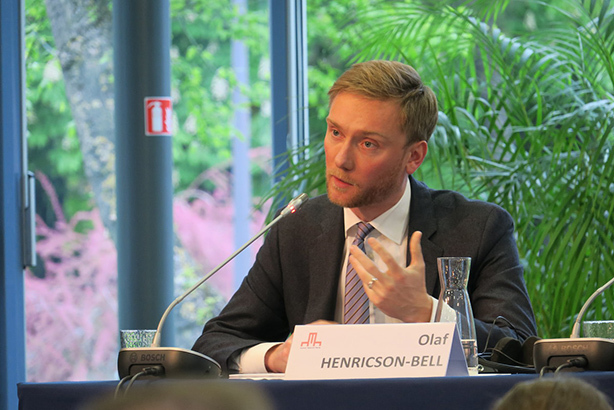 Before taking up the role, Henricson-Bell spent the past 10 years working for the FCO. He spent the past four years at the British Embassy in Paris, first as the head of EU and communications and latterly as the head of politics and communications. Earlier in his time at the FCO, Henricson-Bell worked in the Counter Terrorism Department and as head of the Forced Marriage Unit. Before entering public-sector comms, he was an advocacy officer for the campaigning organisation Human Rights Watch. Commenting on his new role, Henricson-Bell told PRWeek: "I am delighted to have joined such a high-performing organisation and team at the Treasury. The coming months and years will be essential in making decisions about the shape of our future economy and public services – and communications will be a central part of that."